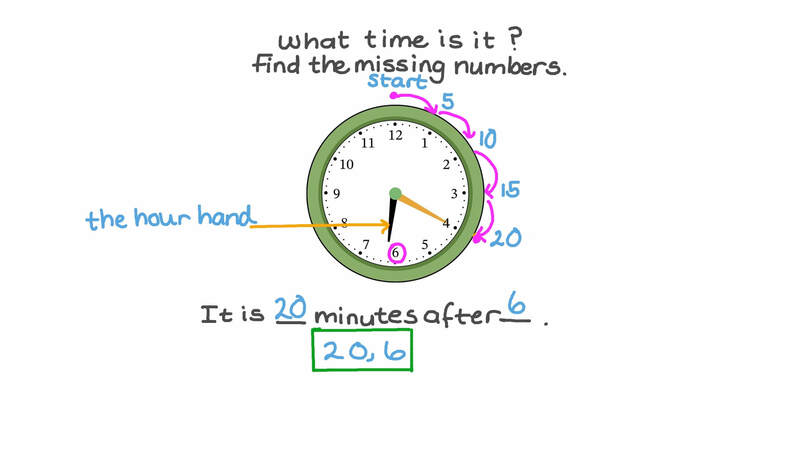 In this lesson, we will learn how to read the time on an analog clock and record it to the nearest 5 minutes in word and digital format. 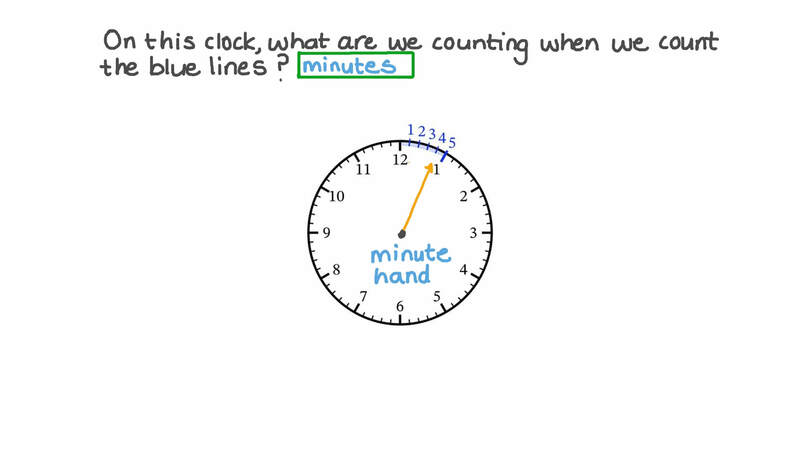 On this clock, what are we counting when we count the blue lines? Skip count in 5s to find how many minutes after 2 o’clock it is. When it is 2:50, what does the clock look like? This is the time now. What time will it be in 5 minutes? Which clock shows that it is ten to seven? Nader wants to meet his friends at the park at 4 o’clock. It will take him 15 minutes to walk there. What time does he need to leave his house? What time did he leave his house? 10 minutes ago Ramy’s mum said “Dinner will be ready in 25 minutes.” If it is 6:05 now, at what time will Ramy’s dinner be ready? It is minutes after . Sherif looks at the clock and sees this. Is it before or after 4 o’clock? Which digital clock shows the same time as this analogue one? Which clock shows that it is twenty after nine? How long does she have to wait for her friend to arrive?